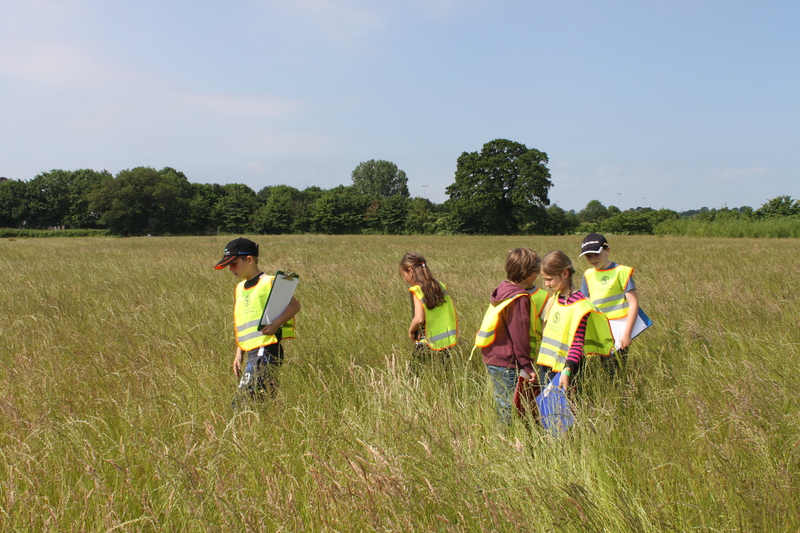 Approximately thirty year three children from each of our four Taunton Schools were out and about exploring local flora with artist and workshop leader Freya Morgan as research for their pop-up meadow. Staplegrove C of E Primary School and North Town Primary School both really enjoyed their site visit to Longrun Meadow. It was perfect weather and to some of the children a wonderful discovery right on their doorstep. Staplegrove C of E Primary School met Helen Lawy from Somerset Wildlife trust who helps look after the meadow and she explained about the cycle of life at Longrun; the role of all the different insects and animal species and plant varieties. There were beautiful plants to look out for: yellow flag irises, purple thistles and many types of wildflower and grasses. Lyngford Park Primary School and Blackbrook Primary School visited local allotments, and met Head Gardener Bob Rawle who explained about maintaining and cultivating plants. Freya asked the children to spot pollinators; bees, butterflies, beetles and other mini beasts which we then sketched as research for our Making Day. The children studied flowers they liked, noting the shape of leaves, the number of petals and the many different colours. The Making Day was spent in the outside garden room as the weather was fantastic. 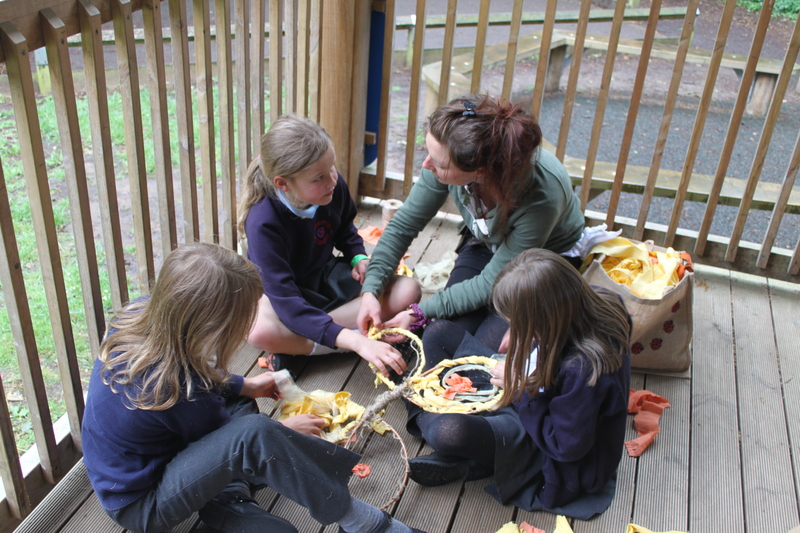 They then worked in groups of three to create sculptures that collectively will form the Pop-up Meadow. They used willow, reclaimed fabrics, garden netting and string to bend, bind and weave working together to make sure everyone was involved. Various pollinators they created included buff-tailed bumblebees, white-tailed bumblebees, bee-fly, small tortoiseshell, brimstone and common blue butterflies. Some of the flowers they made were poppies, buttercups and cranesbill. In the afternoon they got very messy mixing clay to make seed bombs. The clay forms a casing for earth and seeds which can be kept for a few months ready for when you find a barren area that needs new growth. Then you throw the seed bomb and the clay breaks leaving the seeds ready to grow in their new home. The Meadow will be ‘popping up’ at the Lyngford Park Craft Day on 6th August 11am-3pm, French Weir Fun Day on 11th August 12noon-4pm and Longrun Meadow Fun Day Sunday 8th September. More dates plus Somerset Art Weeks showcase to be announced soon.